Brown coal — aka Lignite — mining is expanding in Europe. There are plans for a new 8,000 hectare mine in Poland the Swedish firm, Vattenfall, is expanding it’s existing mines in Germany. Lignite — which is mined in large open pits rather than underground — has the advantage of being relatively cheap, supporting jobs and the local economy, and, like renewables, being a domestic source of energy, particularly appealing for Germany and Poland, both keen to cut their dependence on Russian gas. Burning lignite generates more CO2 emissions than hard coal, and between three and seven times more than gas. 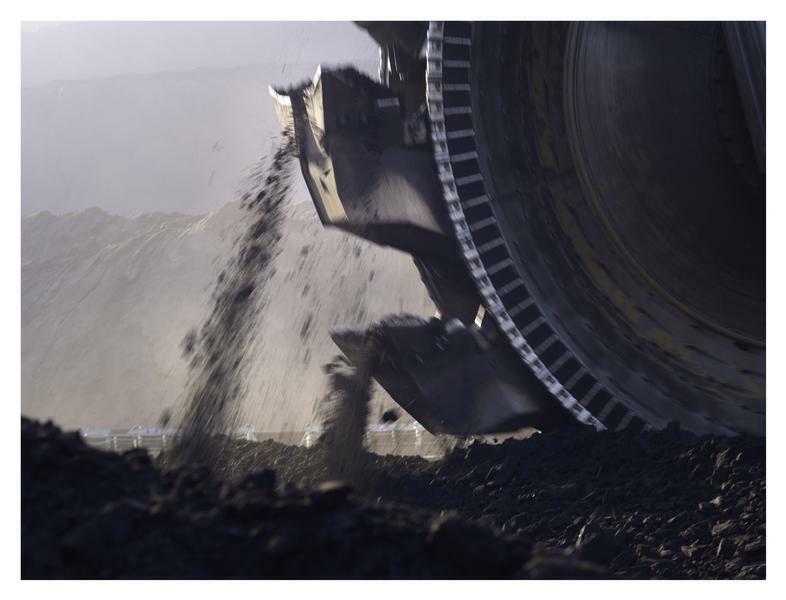 That means the expansion of lignite (brown coal) mining in the EU could add 118Mt to iannual carbon dioxide (CO2) emissions – nearly half Spain’s CO2 output in 2012 – according to analysis by Unearthed and Greenpeace. Just like with regular black coal, lignite-firing results in dust, NOx and SO2 emissions. These can combine to create a cocktail of air pollution — which is dangerous to health. Exposure to air pollution can increase the risk of lung cancer, chronic bronchitis, and heart disease. Coal plants in Europe could contribute towards around 22,000 premature deaths – based on their 2010 emissions, according to a study by the University of Stuttgart. And the air pollution doesn’t just affect the local area near power plants, it also travels with prevailing weather conditions. In this way, emissions from nine lignite-powered plants in Germany can travel to the UK and other countries. The map below shows the effects of nine German lignite plants in terms of the estimated years of life lost from their emissions – the darker the square, the worse the health risks. Mercury — which is a highly toxic substance that is hazardous to health and the environment — is released during the burning of lignite (and hard coal), and emitted in the stack gases. Though the mercury content of brown coal is higher than black coal, the mercury emitted is in around the same for both types of coal. Almost half of the manmade emissions of mercury in the world are from the burning of fossil fuels, with coal in its various guises as the biggest source in Europe. There’s no specific requirement for mercury control at coal-fired power plants in Europe and no widely applied mercury-specific control technologies in place — though of course as air pollution techniques are put in place they do somewhat reduce mercury emissions. But there could be regulation obliging large combustion plants in Europe to reduce their mercury levels put in place by 2019. Lignite is fairly wet compared to hard coal when it is excavated, and it is often burned wet — it can be as much as 75% saturation in some varieties. This makes it inefficient to burn compared to if it was dried out – which means using more fuel to get the same amount of energy, and more mining. The same regulations that could limit mercury emissions could specify lignite pre-drying is needed — which would greatly increase its thermal efficiency. Industry strongly objects, saying that it could make lignite burning economically unviable. Historic settlements have been razed to the ground, villagers have been relocated, and cemeteries have been dug up. Groundwater quality can be affected and the effects on surface water can also be significant. There have been reports that lignite mining has exacerbated flooding in Serbia.